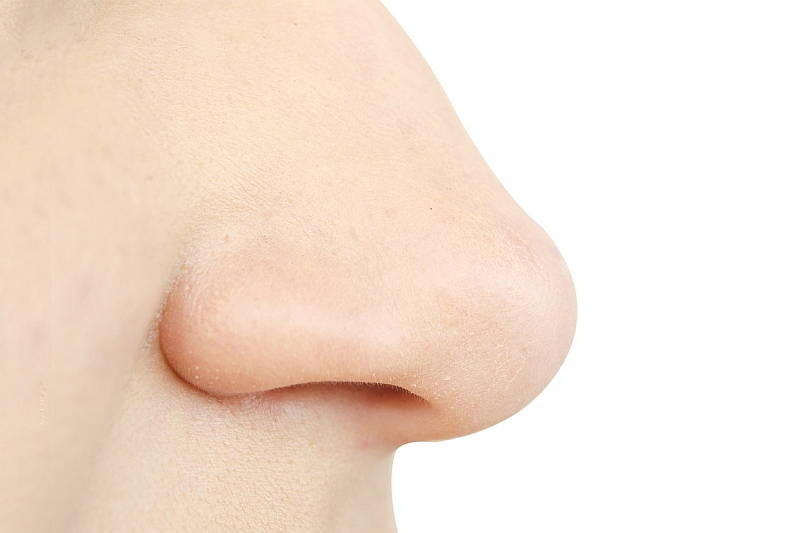 There are many reasons why someone may require nose rhinoplasty. An individual might have a hooked or misshapen nose that is out of keeping with their other facial features. This may cause them to feel discomfort. Another person may have had a series of injuries that has left their nose crooked. 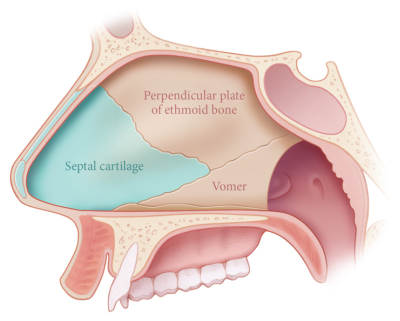 Yet another person might have a normal shaped nose but suffer from breathing difficulties, due to the internal structure of their nasal bone and cartilage. Yet these different types of issues are unnecessary with modern medical technology. Rhinoplasty can safely and effectively fix these problems and turn an otherwise uncomfortable problem into a beautiful and functional nose. Many people are simply uncomfortable with the shape or size of their noses. However, there is no need to suffer with a crooked or big nose, since this is a surgical fix available. Best of all, cosmetic rhinoplasty is typically minimally invasive surgery, so the recovery time is generally fairly quick. This means that you will get to enjoy the benefits of your nose after the routine procedure. Sustaining repeated injuries to your nose could be very damaging and leave you with a blocked nose that can be more prone to sinus infections. While most people think these injuries only affect boxers, there are many other professions in which broken noses are very common. Police officers consistently struggle with violent offenders, and the average officer on the street can expect a couple of broken noses in their career. Additionally, besides the aesthetic concerns, these injuries can create the potential for breathing problems and increased sinus infections. The good news is that receiving a rhinoplasty operation will repair the nasal structure and improve breathing. Some people have normal shaped noses but the internal structure of their nasal bone and cartilage can still cause them breathing difficulties. These individuals can experience difficulty with sleeping and sports, since they are not able to inhale as much oxygen as someone without obstructed nasal passages. 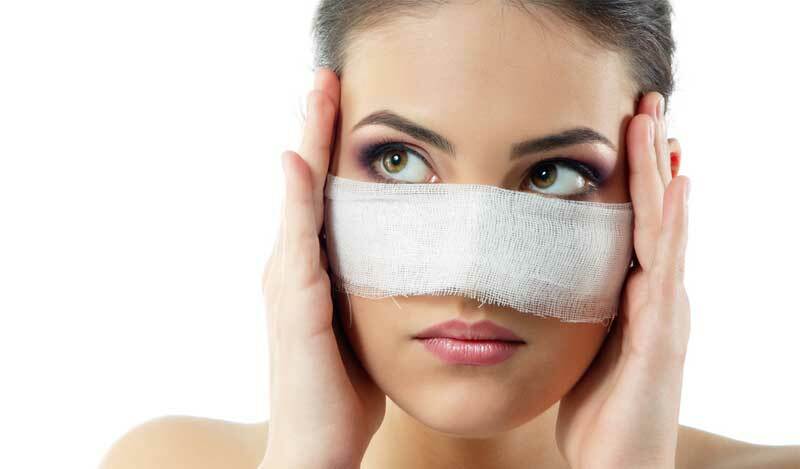 Receiving rhinoplasty for this condition can provide benefits in terms of breathing. Broken nose treatment is best done without delay. It is important to see your doctor within a week or two so you can have the right treatment. When you break your nose, it can be a very painful experience that requires immediate medical intervention in order to prevent complications. The first concern many people have when they learn their nose is broken is whether or not they will look like a monster. However, medical advancements and cosmetic surgery have largely rendered this concern a thing of the past, and you will not come out of the experience looking like you spent a career in the boxing ring. However, there are more pressing complications that you should be concerned about when deciding whether or not to get treatment that are beyond aesthetics concerns. While a broken nose typically heals by itself, it is smart not to take any chances. You should be sure to seek out medical attention just to be on the safe side. A broken nose can even create trouble breathing. Once the cartilage and nasal bone is shifted in the nasal cavity, there can be problems with getting enough airflow to the lungs. Since most people breathe through their mouth and nose, this can result in a decreased level of oxygen and an uncomfortable feeling when inhaling. Additionally, this can be worse when a person is sleeping, since a lot of people breathe only through their noses while at rest. Additionally, when the nasal bone breaks it can splinter into the nasal cavity and into the sinuses and create a perforation, through which bacteria may pass. This can create a lot of nasty infections within the sinuses that could require invasive surgery, so it is better to take care of the problem first without giving it the chance to get to that stage. If your nose break is not severe and you make it to the doctor within a week or two, they are usually able to treat your broken nose with a procedure called closed reduction. In this treatment, the doctor will be able to re-align the broken bones without making an incision. This can be done through the nostrils use instruments to straighten and align your nasal bones. Doing this right after a break is the best time, since your bones will not have begun to set while misaligned. However, if you have a severe broken nose you may need a surgery called rhinoplasty to fix the problem. In this surgery the surgeon may reshape the nasal bone and cartilage so they can be aligned properly. If you require broken nose treatment contact your local doctor who will arrange for you to see a nose surgeon. 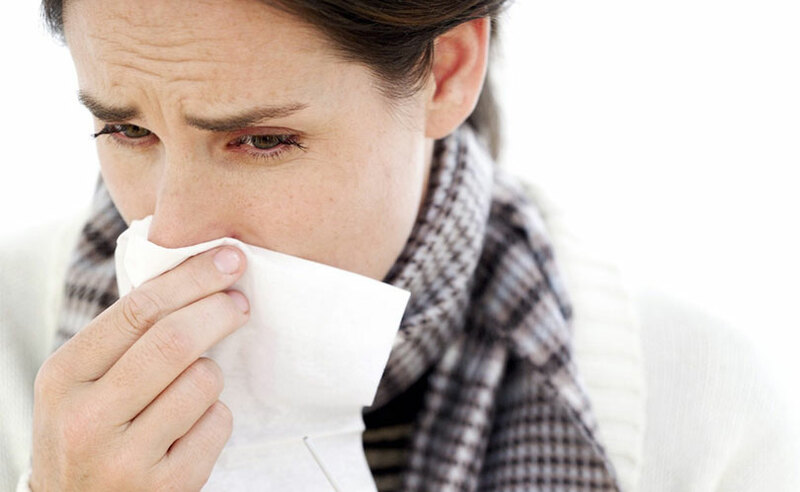 As the weather begins to decrease, the risk of contracting the common cold tends to increase. While having a cold is not a life-threatening illness for most people, it can still cause you to struggle through your daily routine. Of course, it is always favorable to feel your healthiest and most energetic. One way to ward off illness is to see your doctor about receiving a flu vaccination, but there are ways that you can adapt to a healthier lifestyle that will reduce your risk of contracting common colds. Eating vegetables in not only useful for people interested in losing weight, these foods can also greatly strengthen your immune system. Dark leafy green vegetables are especially good suppliers of vitamins, nutrients, and antioxidants that can give your body the fuel it needs to protect against illness. Studies have shown that individuals with an increased intake of vitamins C and D have been able to greatly reduce their risk of contracting a cold, but in order to put up the best defense; it is wise to create a well-rounded vitamin rich diet. Always consult with your physician before making dramatic changes to your diet, however. Most people are aware that it is crucial to keep hands clean in order to avoid harmful germs and bacteria. Majority of flu and cold viruses are not spread through airborne germs; they are contracted through physical contact. In most cases, you become sick after shaking someone’s hand, handling money, or touching any communal surface that a person who is ill has touched. If you are worried about getting the flu or a cold, you should wash your hands regularly throughout the day, or use hand sanitizers. It is especially important to wash your hands thoroughly before eating, after using the restroom, and after touching any public surface such as a handrail or door handle. Even if you do touch a contaminated surface, you may be safe as long as you can refrain from touching your face. The viruses are not typically spread through the skin. They enter your body through the mouth, nose, and eyes. In order to avoid contracting the virus, you must break any habits that involve touching the face. This includes not covering your mouth with your bare hand when you sneeze or cough. You should instead use a tissue or your elbow to cover your mouth. This protects your health, as well as the health of others if you have already developed a cold. A great way to give your energy levels and immune system a much needed boost is to do cardiovascular exercises regularly. Cardio exercises are exercises that increase your heart rate. These exercises increase the amount of oxygen distributed to your cells and also increase the body’s virus-killing cells. Smoking and drinking alcohol can significantly suppress the body’s immune system, greatly increasing the risk of developing more severe and frequent colds. In order to prevent a cold, or recover from one, the body requires generous hydration, and alcohol significantly dehydrates the body. A good night’s sleep and the ability to relax can have a major affect on the immune system. If you are experiencing ongoing stress, this can have a negative affect on not only your mind and mood, but also your body. Stress can weaken the body and it’s ability to protect against illness. One of the easiest and most enjoyable ways to reduce your risk of developing a cold is to learn how to relax your mind and sleep soundly. This discussion is about falls, crashes, and what you can do about them. This may make you think we are talking only about the falls and crashes of others, but we are speaking about everyone in general. The seven year old currently learning to ride a bike, the seventeen year old who is fixated on their skateboard, the thirty-seven year old who slipped on some ice, and the seventy-seven year old who just fell in the kitchen are all going to benefit from the topics discussed here. Now, we could discuss how to deal with all sorts of issues, but we are going to talk about handling a blow to the nose. This is almost always going to be injured in a fall because we can rarely prevent our heads from striking nearby objects. Hitting the nose is tremendously disorienting because it causes such a horrific pain response (we are all familiar with that instant sense of “head swelling” that is the result of a strong blow to the nose). Hitting the nose is also bad because the nose is relatively fragile. It is made up of fleshy tissue, cartilage, and bone. This is why we can do serious damage (such as breaking the nose) but we can also damage it in a way that can cause it to remain permanently disfigured. Hit the nose and form a blood clot in the central wall (septum) that causes permanent damage and disfigurement. This means that any fall and subsequent blow to the nose has to be taken seriously, and this means assessing the issue immediately. If you, or anyone else, harms their nose you should get them into a horizontal or prone position to attempt to arrest any bleeding. Remember that it can often be dangerous to just move a body that is unconscious or which has sustained a serious injury to the head or neck. Speaking with the person who has fallen to determine their ability to move or sense their surroundings is imperative to safety. After that you can offer help with their n ose. If the nose is not disfigured or out of its normal position you can often stop bleeding by applying pressure to the nose (gently pinching the nostrils together). If the bleeding is persistent and not slowing after 20 minutes, it is time to head to a doctor. If you see signs of damage to the skin on the exterior it also means you have to head to a physician immediately. Noses have many small capillaries that can bleed profusely when injured and it is best to ensure that you don’t need stitches or further medical intervention when bleeding is profuse on the inside or outside of the nose. If the nose appears to be broken it is not something that you can handle on your own. The best approach to use with an injured nose of this kind is to leave it alone and head to the hospital. There the doctors can reset the nose if the injury is minor, but may need to do some surgical repair after the injury has healed. Anyway you look at the situation, a fall that harms the face is a major problem. Never ignore this sort of injury and always seek medical assistance as soon as possible.